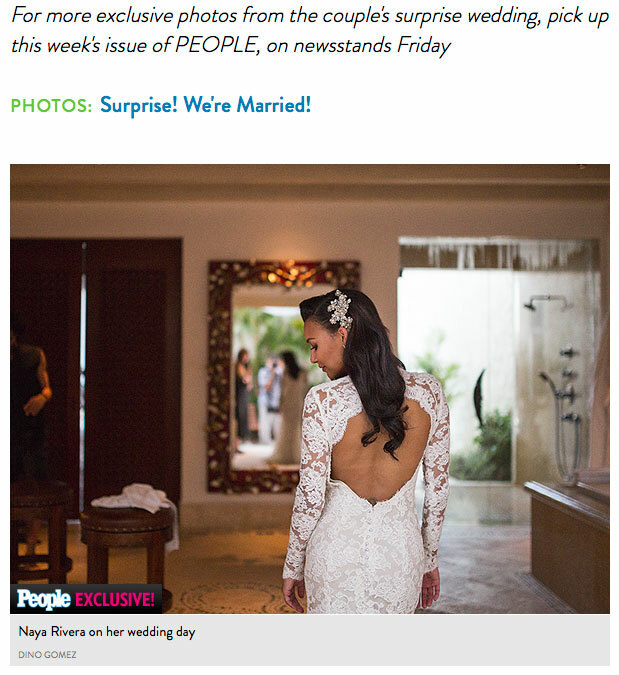 Exclusive photos from Naya Rivera & Ryan Dorsey from People Magazine by Dino Gomez. Secret destination wedding photography. 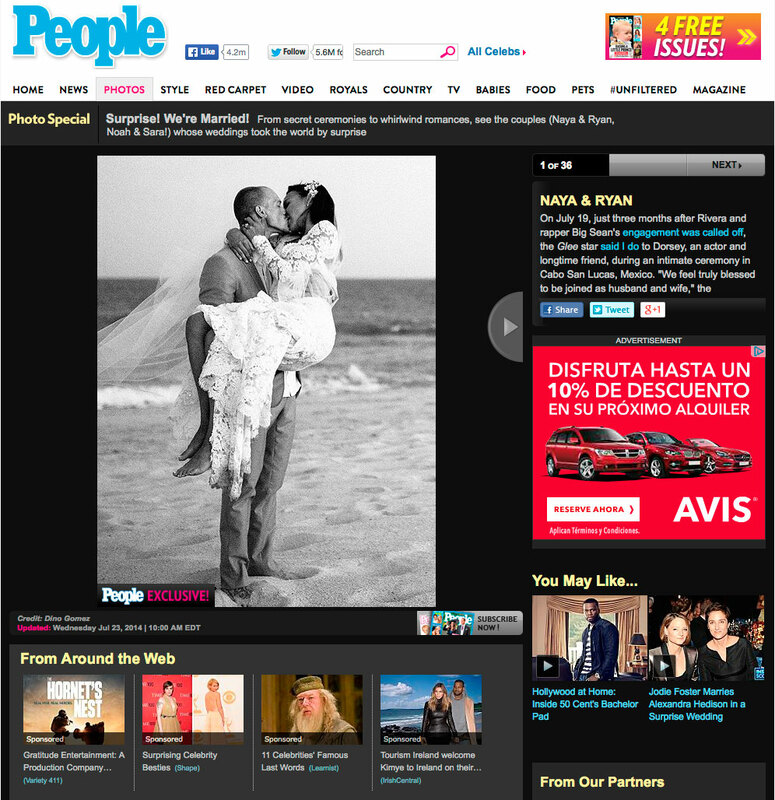 Just wanted to share with you this press release, unfortunately due to my confidentiality agreement, I can’t share other photos than the ones authorized by the client and as published exclusively on People Magazine Their wedding was held at the exclusive Las Ventanas al Paraiso, in Los Cabos, Mexico. 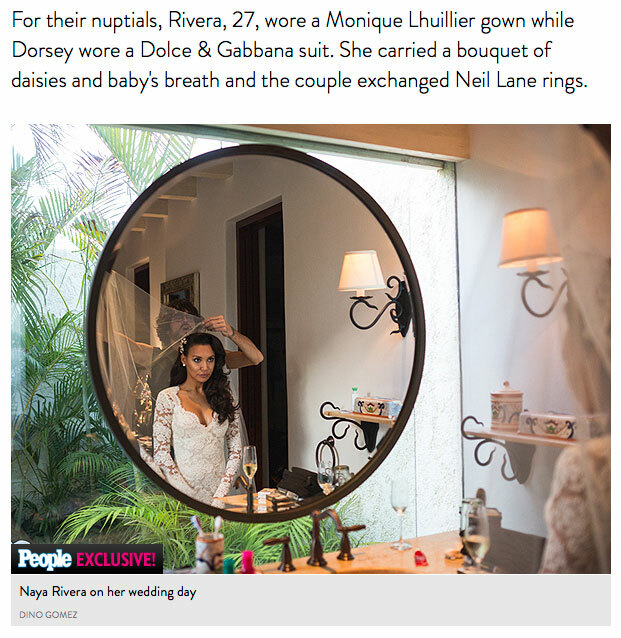 Dino Gomez photographed the intimate wedding of gorgeous Glee star Naya Rivera and actor Ryan Dorsey in Los Cabos Mexico. Dino Gomez is a Destination Wedding Photographer based in Los Cabos, Mexico. Photos Published Exclusively on People Magazine. Las Ventanas al Paraiso is by far the best hotel in Los Cabos, not only the beauty of the property, but the un-paralleled service and quality makes it the choice of the stars, located just 15 minutes from downtown San Jose del Cabo. As Seen on People Magazine article, CocoaFab, StyleFT, Essence, CottenKandi, and many more Online Magazines.